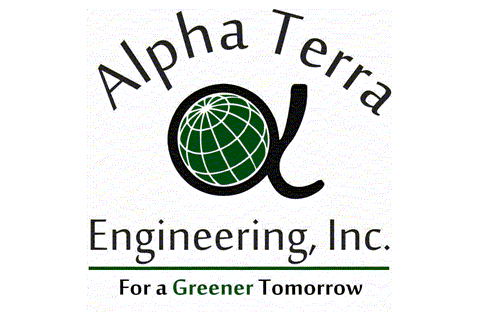 Since 1996 Alpha Terra Engineering Inc. has worked supporting the Oil and Gas Industry - initially focused on Environmental Engineering, ATEI built on their success to grow into a full-fledged Engineering & Architecture (AE) and Project Management firm. While maintaining roots providing spill plans, Phase I Environmental Site Assessments, Regulations Compliance and Emissions Reporting, their expanded portfolio now incorporates Compressed Natural Gas (CNG) and ancillary facilities alongside Commercial and Healthcare Architectural design, Facilities Infrastructure, Paving and Civil Sitework, Landscape, Facilities Condition Assessments, Asbestos-Lead NORM and other Hazardous Materials Consulting, Expert Witness and Project Management. A Veteran-owned small business (SDVOSB) with a core team averaging over 20 years of professional and technical expertise, our diverse base of experience has allowed us to consistently product successful projects of significant and dynamic scopes for Federal, State and Municipal government and private sector clients throughout the United States and 4 continents. Alpha Terra has developed additional Public Relations services often associated with these project types, providing comprehensive PR, professional graphic design/renderings/presentation displays and literature, meeting facilitation, expert witness, and government and public interface services for hearing, meetings and general public outreach. ATEI is a Certified Veteran Enterprise - Service Disabled Veteran Owned Small Business the Veterans Administration, and a Historically Underutilized Business by the State of Texas.